Premium-quality micrograin carbide tips are ground on specialized CNC equipment for an extra-fine finish with maximum sharpness and edge retention. 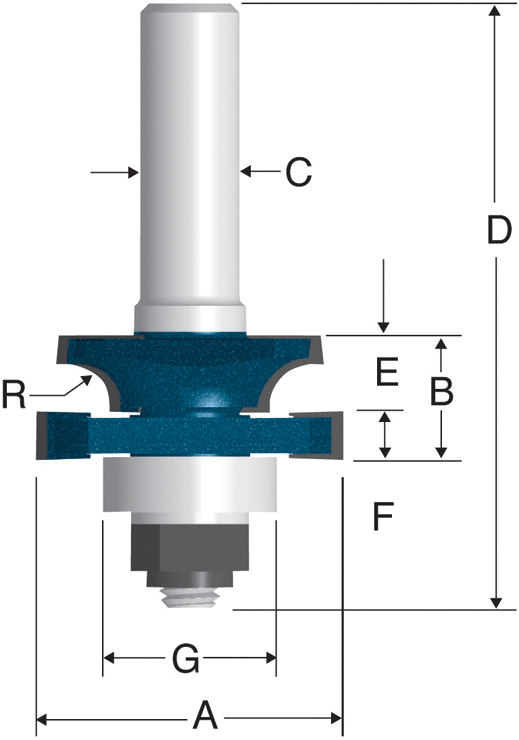 The stile bit is used for doing beading profile stile cuts for cabinet doors and all varieties of frame-and-panel assemblies for furniture and architectural applications. The fully hardened and tempered steel shank provides ultimate durability. E. Decorative Cut Depth 1/2"
85622M 1-5/8 In. x 1 In. Carbide Tipped Beading Rail Bit 1-5/8" 1" 1/2" 1-15/16"